A Curious Matter of Men with Wings by F. Rutledge Hammes is BGG's January Book Suggestion. A Curious Matter of Men has been referred to as "part southern gothic, part magical realism and part folklore." The 284 page book released on September 15, 2018 for $16.99 from SFK Press located in Atlanta, GA. The plot centers around two troubled brothers, one dreamer and one a rebel, searching for their missing sister in coastal Carolina. This book is for adult readers interested in Southern literature and culture who enjoy genre hybrids of fantasy, magical realism, Southern fabulism, and historical fiction. Amazon, Barnes & Noble, SFKPress.com and Indiebound.com. As the oldest in a family of ten, stories of family come naturally to F. Rutledge Hammes. 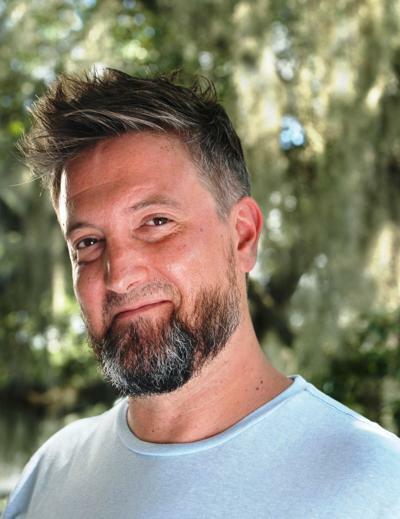 His grandparents moved out to the Sea Islands early in their marriage and made friends in the Gullah community, and he grew up enamored by all the stories and folklore he was told as a child. It wasn’t until he was a junior in college that Rutledge decided to try his hand at writing fiction; a proud and pledged poet, he became inspired by the minimalist style of Raymond Carver, Pat Conroy’s sense of character and place, and the hard-hitting subject matter of Dorothy Allison. He has long believed that magic is at the heart of Charleston, SC, and so magic must be at the heart of the Charleston novel. 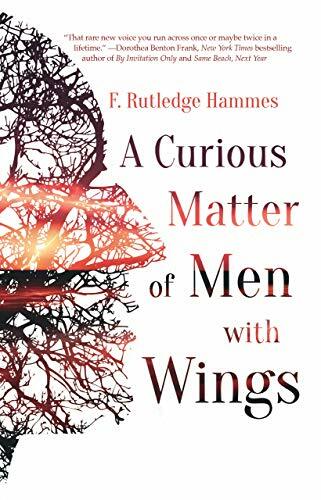 Through A CURIOUS MATTER OF MEN WITH WINGS, Rutledge hopes readers will see the redemption that comes to people who keep their promises to one another and stand together regardless of ethnicity, culture and class. He earned his MFA in fiction from Old Dominion University, has had numerous short stories, essays and poems published in various journals and magazines around the country, and is a contributing writer in several books. He is presently Director of the Creative Writing program at the Charleston County School of the Arts, the most awarded middle- and high-school writing program in the nation, and is the 2019 South Carolina Arts Commission Prose Fellow.